Original Confederate States Two Piece displayed in my Cold Harbor Museum. 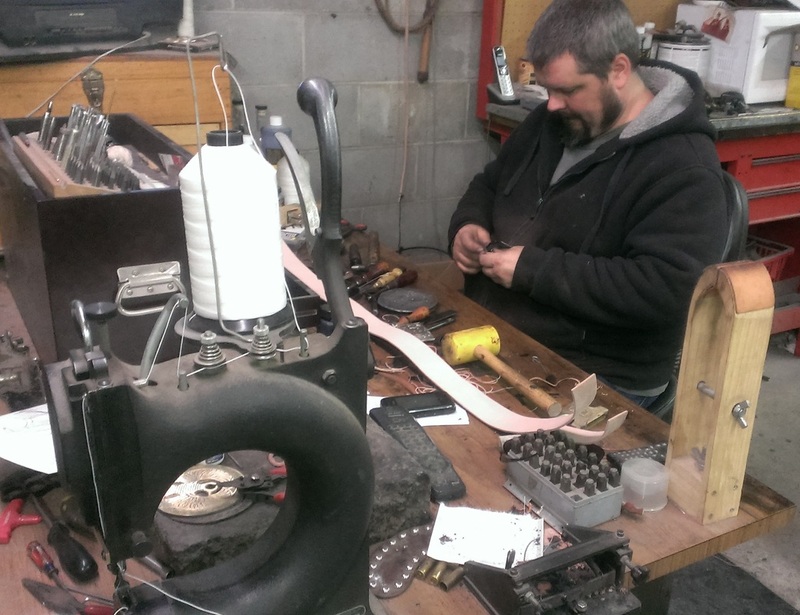 Gary Jr at work making a leather belt. 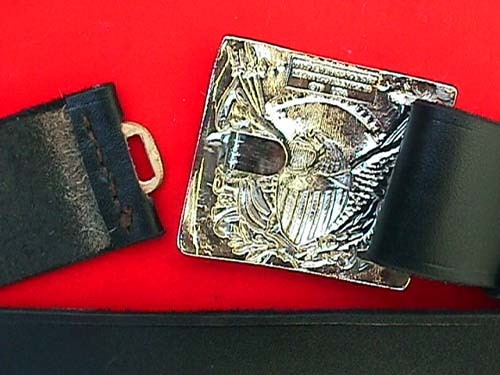 A customer used my post war eagle buckle on his gun rig. 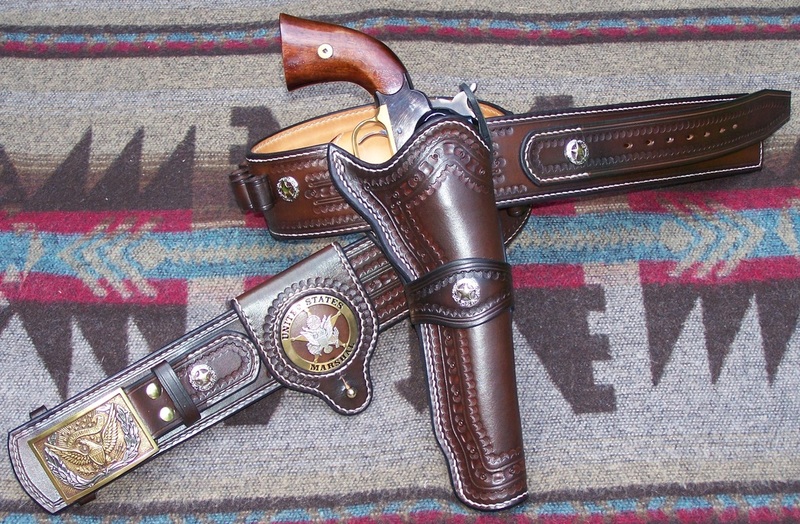 He did a great job on that holster and belt. The snaps are concealed, so that only the stitching is seen when worn. The snap feature allows for the belt to fit through pant loops easily, and also easy to switch another two piece buckle using your same belt. 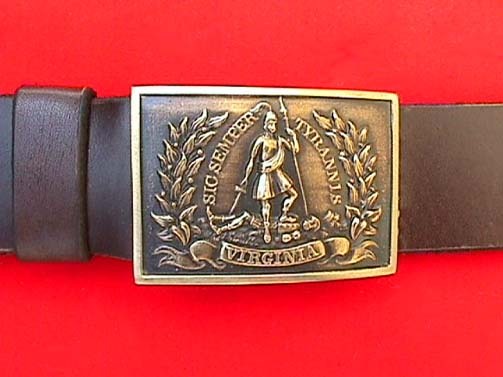 T-112 Virginia Belt Plate on leather belt. T-57 C.S. Two Piece with leather belt and C.S. type sword hangers. 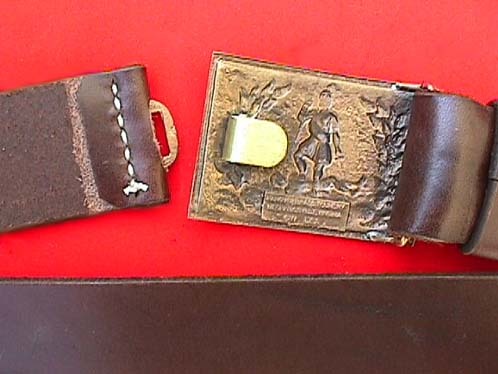 The rectangle buckle with keeper pictured above with a T-112 Virginia buckle will take any rectangle State Belt Plate or rectangle Militia Belt Plate. 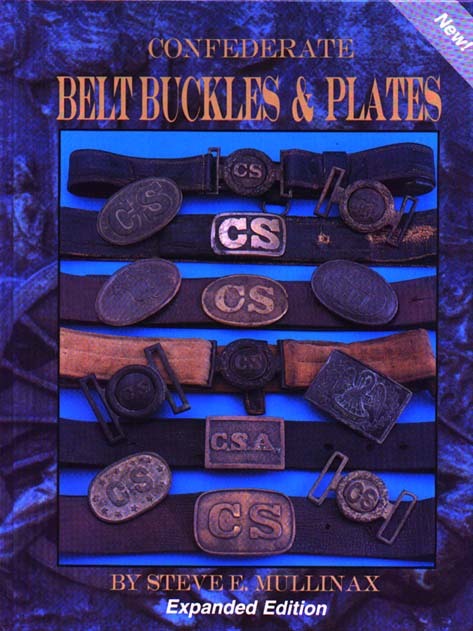 This is the original type back these rectangle State and Militia belt plates had. 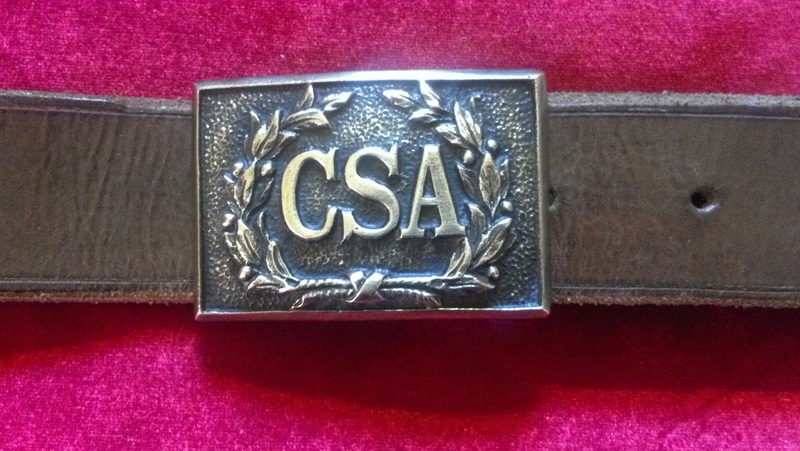 Belt Plates on leather we made for a costume company. 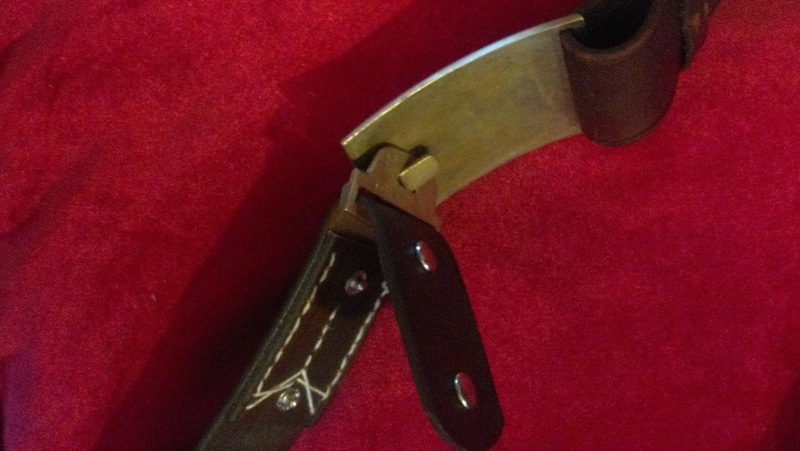 The custom belt is easily adjusted for size using a brass adjustment hook. 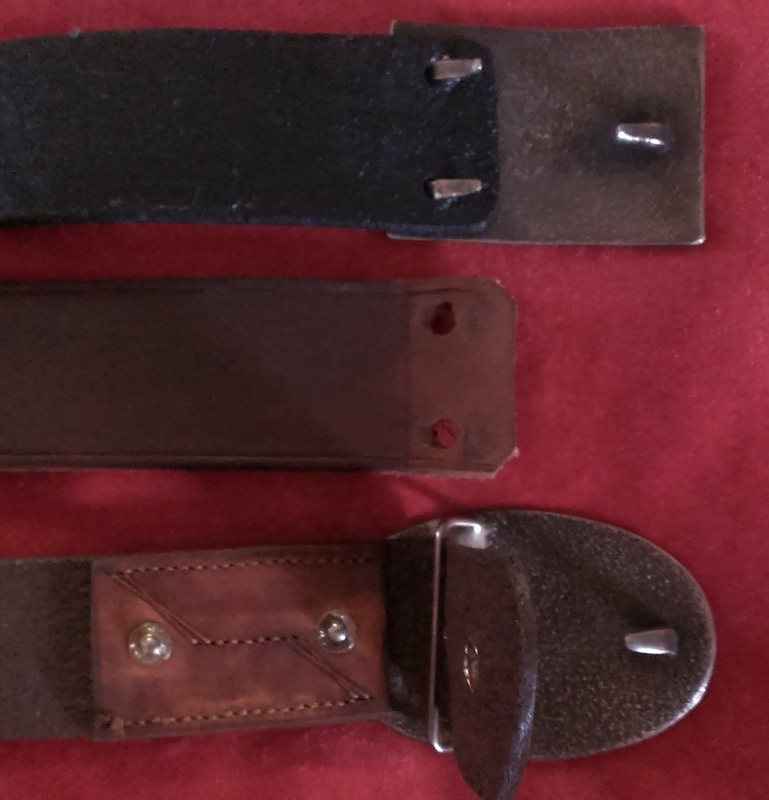 We make the belts by your pant size, and provide holes for size loss or gain. Example: your size "38", the center hole will be "38", and will be adjustable to "36" to "40". 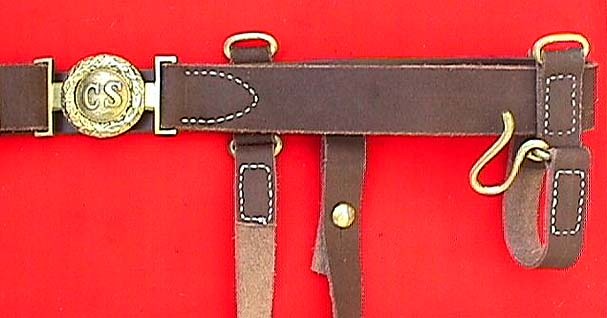 T-112 Virginia Belt Plate with the correct backing and keeper on leather belt. 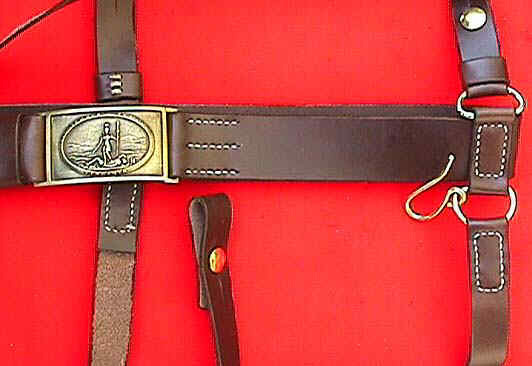 T-111 Virginia Sword Belt Plate with leather belt, sword hangers and over the shoulder leather strap. 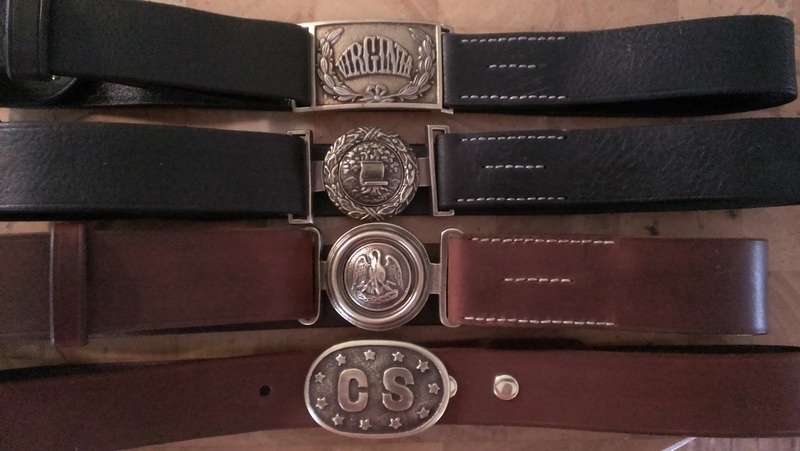 This leather belt is for buckles with Modern Back choice. We buy the whole hide and cut and dye each belt. 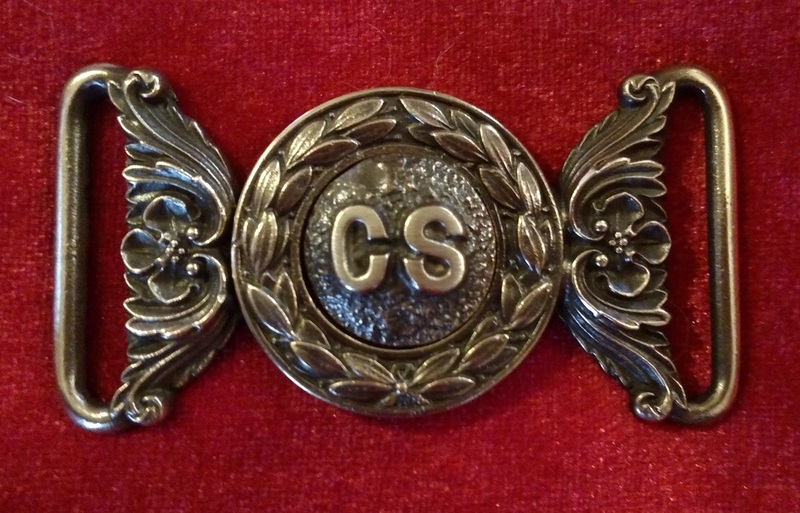 T-64 CS/Stars Belt Plate on a civil war type leather belt. 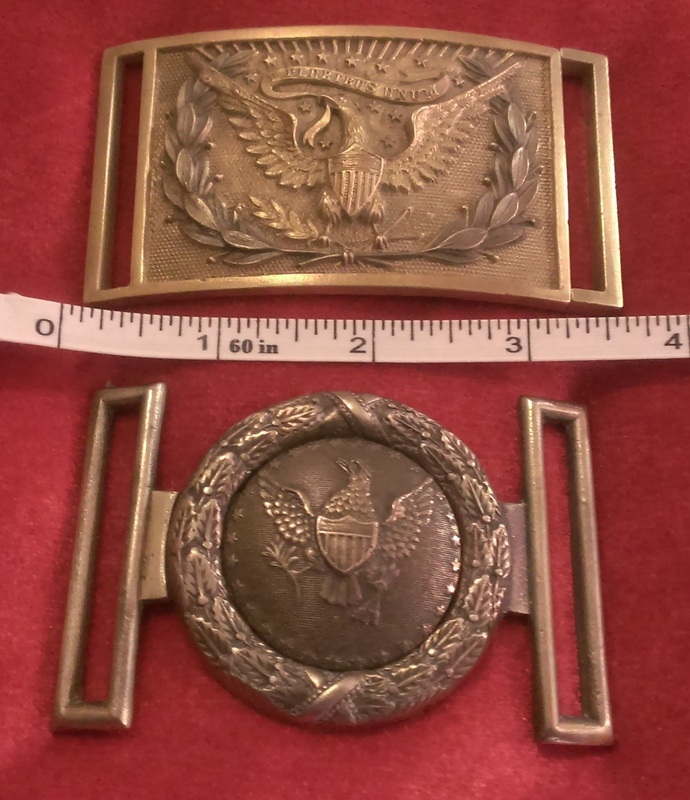 The civil war three hook buckle can only be worn with the belt that takes the civil war style three hook buckles. T-79 Frame Belt Plate on leather belt. 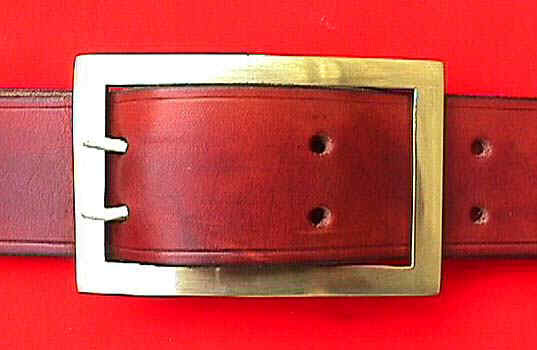 T-78 Forked Tongue Belt Plate on leather belt. 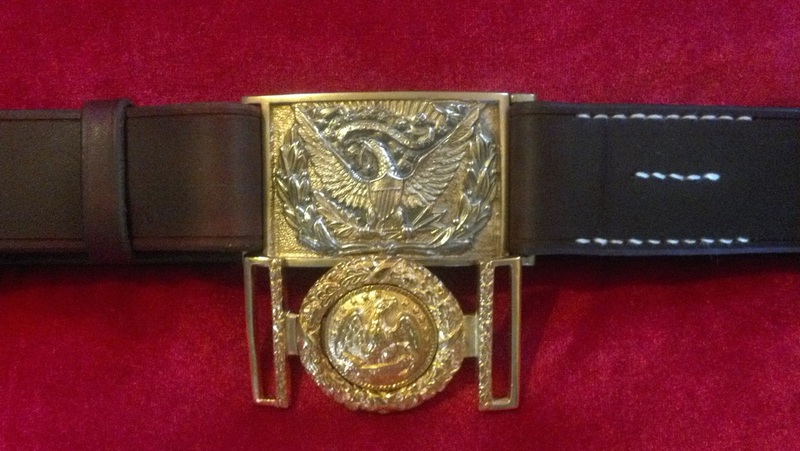 TG-Cody/Belt.. Cody Belt Plate on Leather. 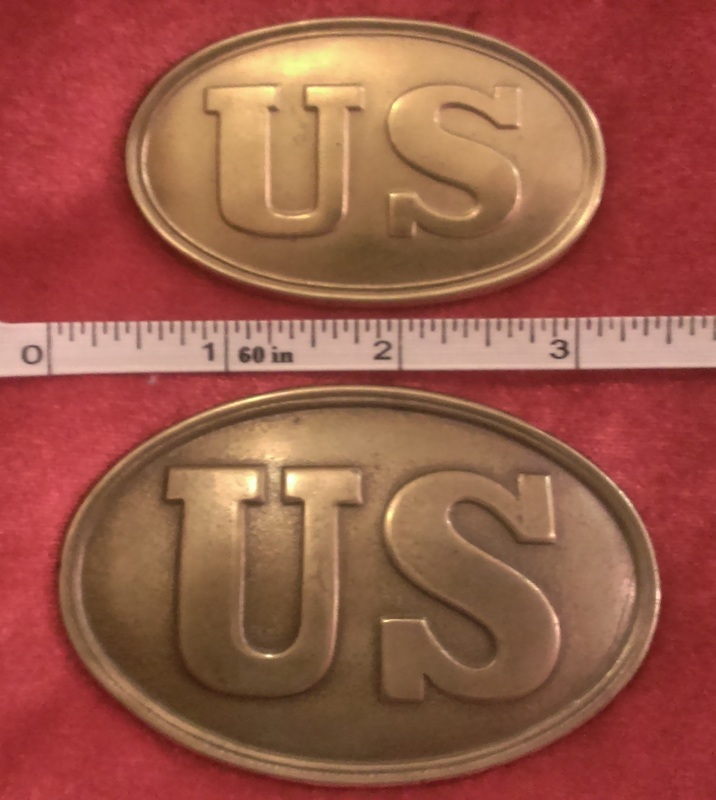 This belt plate is 5 inches tall and 3 inches wide. TG-Custom Center/1 inch Belt. You can choose this two piece with a one inch wide black or brown belt with any two letters of your choice. 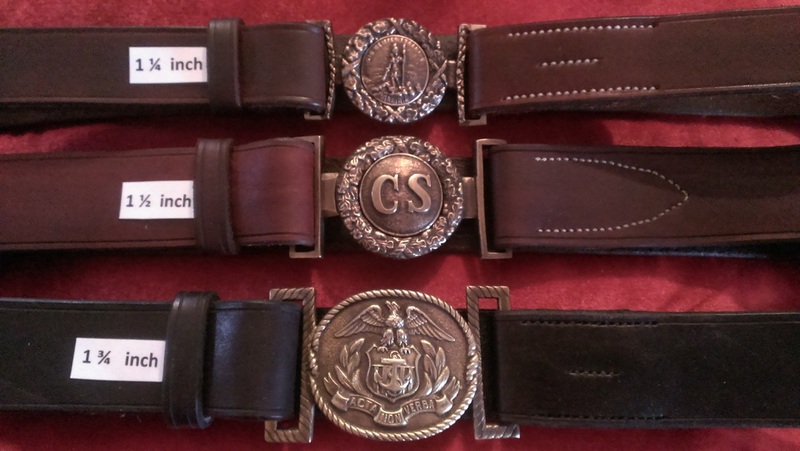 Belt Width Sizes and Black and Brown belt color Top: 1 1/4 inch Middle: 1 1/2 inch Bottom 1 3/4. 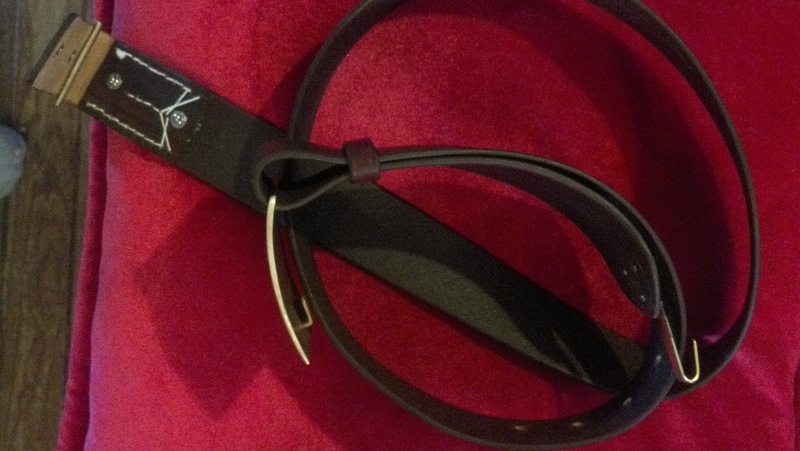 We also custom- cut belt width to your specification. Size of most small and large ovals . 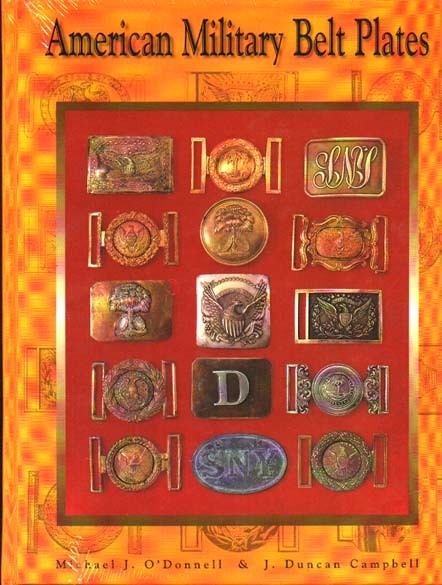 Working on orders for 2015 Christmas. 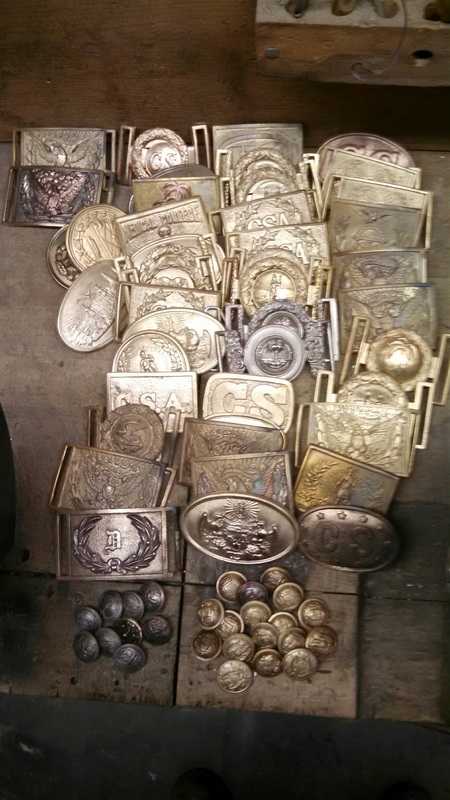 Several steps to go through before a finished buckle. 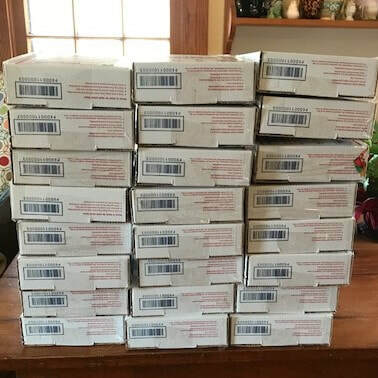 A couple more before ready to mail out. Boxed and ready to mail. 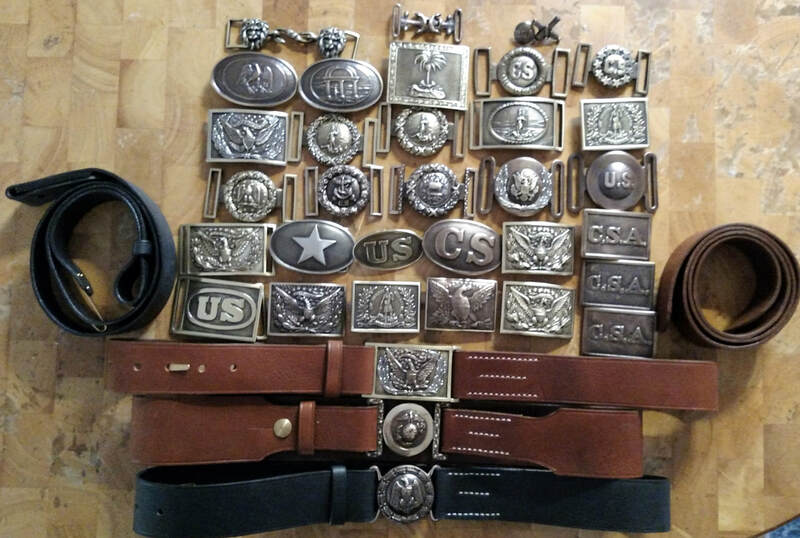 Buckle orders to be mailed out Priority Mail. 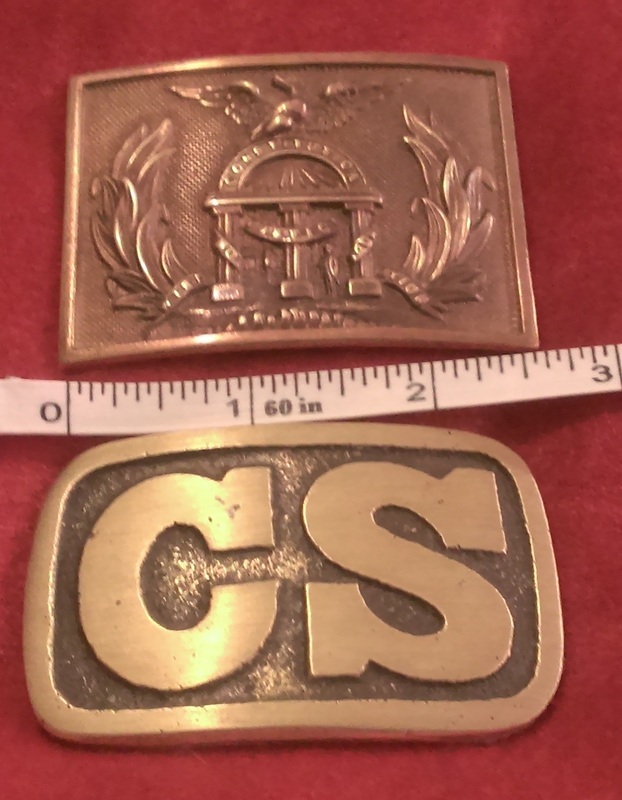 Size of most sword belt plates and two piece. 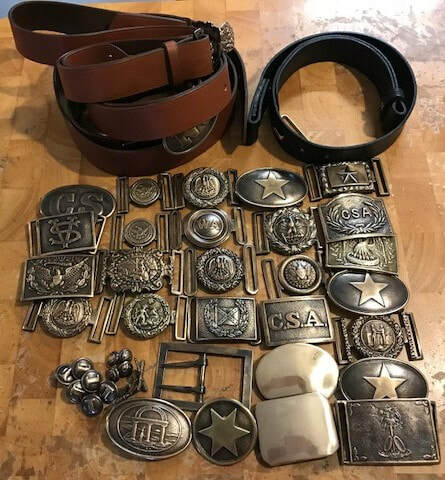 Buckles and Belts ready to be mailed.